Random Fridays is a weekly meme originally hosted and created by Rebeca at “Books and Messy Buns”, that anyone can join. Since her blog has gone through some changes and I really liked her weekly memes, I asked for her permission to continue with them and here we are. Go to this random number generator and insert the total amount of pages in your book. Repeat step 2 and 3 but with the number of lines on that page. Note: Please refer the creator of the meme and the host (this blog/this post) in your own post and leave a comment down below with a link to your RF so all the participant can have a look and share their thoughts too! Just as she got to the bottom of the stairs, Mouchard -drawn by the noisy echo of Belle´s boots on the steps- came hurrying into the foyer. 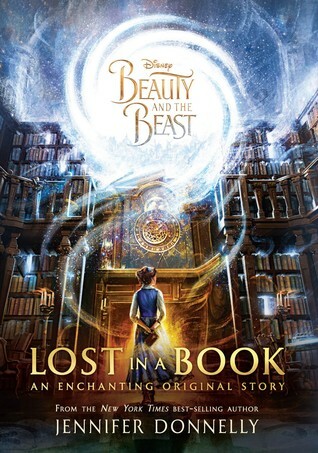 Beauty and the Beast meets Alice in Wonderland, that´s how I read this book being described and whoever said it first definitely hit the jackpot, ´cause that´s exactly how this book felt to me. So…, it´s been a long time since I last did this, but new year, new attitude, right? So here I am again. Anyhow, I decided to read this book after listening to Dan Steven´s interpretation of Evermore for the gagillion time on Youtube -what can I say, it´s pretty much my favorite song of the live action B&B-, reading the comments, and finding out that this book existed! I remember somebody there comment how the song met so much more after reading the book, so… obviously I had to read it as soon as possible, and since B&B has kind of a winter feel to it, well… in my head, it seemed like the perfect read to start the year. Anyway… back to the book, what can I said excepted that I enjoyed it. Was it perfect? hardly, neede? probably not, did it add anything to the movie/story? sort of? Allow me to explain, Lost in a Book it´s an enjoyable read, but ironically for a story about how sometimes books trap us and are a way to escape reality, it´s surprisingly not that captivating. I never got that “I can´t stop reading” feeling, you know? the one that makes you not want to put the book down? At times I had issues with how Belle was portrayed, ´cause she somehow seemed less brilliant than she is supposed to be, and all for the sake of the plot I guess, then again the book did make a point of it happening ´cause she let her heart cloud her mind, but still! Anyhow, If you love Beauty and The Beast as much as I do and can´t help but want more of her and the Beast interactions and getting to know each other? You should definitely read this book, if not… well you´re not really missing much. But what about you? Have you read this book? What are your thoughts? This entry was posted in Loved it/Hated it and tagged Books, fantasy, magic, weekly meme, young-adult by jewelgeekyshelf. Bookmark the permalink.